This is the tried and true way to get individuals to break through preconceived assumptions and behaviors in order to experience being part of an authentic, high performing team. The course is a series of high events that each has its own specific dynamic and learning. 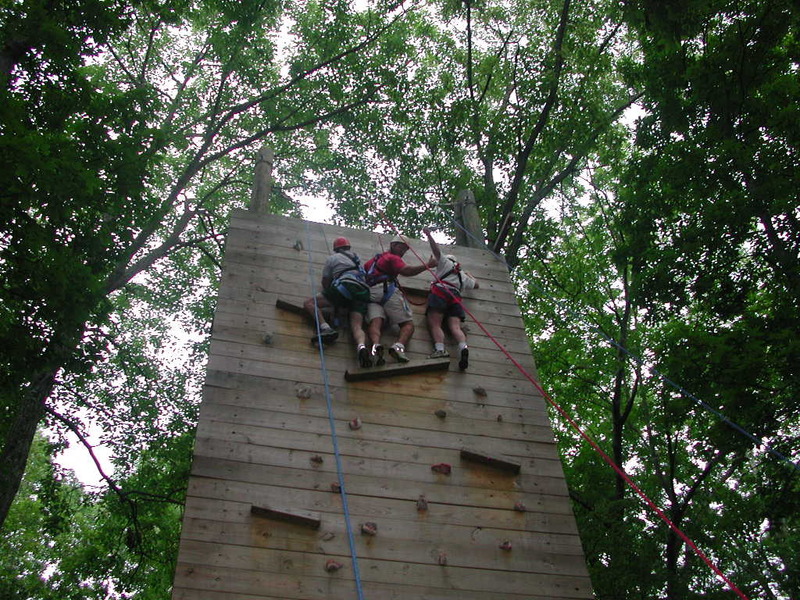 Usually a daylong event, the High Challenge Course can stand alone: as a foundation for a longer meeting that requires open and honest dialogue, or integrated as part of a client designed company meeting. Accommodates 15 participants or more. Learning includes: Personal breakthrough, communication skills, trust, support, commitment, cultural change, team building, risk-taking and resilience. This event is composed of two to four teams. Their challenge is to utilize all the materials and information available to them in order to construct systems that can safely transport two agents from remote theatres into the local theatre situated in the middle of enemy territory. These agents then need to gather valuable coded information that will lead them to the high value target. The agents with the high value target need to return to base within the 4-hour time frame in order for the mission to be successful. This is a great event for organizations with departments or teams that need to work interdependently with each other in a work environment where communication is unreliable and where resources and information are not always readily available. Accommodates 30 to 80 participants. Learning includes: Interdependence, big picture thinking, crisis management, team building, problem solving, interpersonal skills, communication skills, innovation and creativity. Your organization is asked to reinvent itself by creating a safe transport system (with helium balloons) that can lift a team member safely over a cityscape in order to save the life of a stranded and isolated person. Since the transport system they design is up for bid they will need to design, build, market and sell their product before demonstrating its capabilities. This will require creating departments (engineering, design, sales, marketing, HR, etc.) in order to accomplish the task. This event is perfect for diverse teams that need to work interdependently with each other in order to achieve a seemingly impossible task. Accommodates 50 people or more. Learning includes: Team interdependence, innovation, creativity, interpersonal skills, strategic thinking, task implementation, communication skills, problem solving, leadership skills and change management. 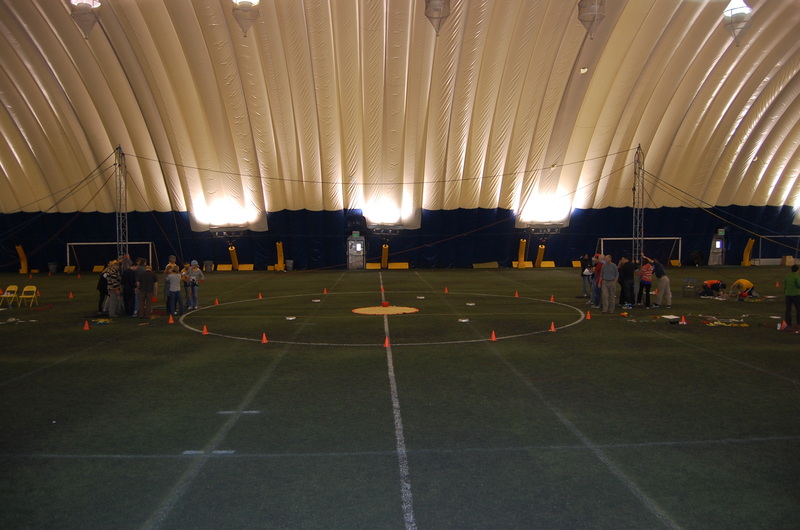 A fun and energetic event that requires an expanse of water and lot of ingenuity! 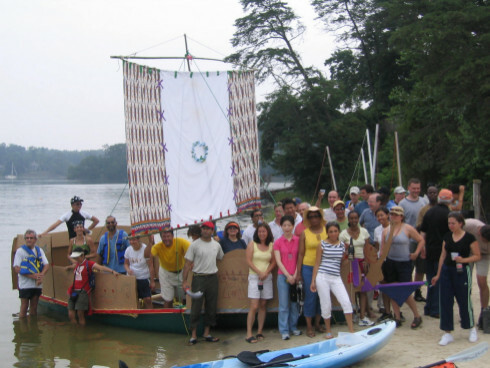 Teams of 5 to 10 design and construct boats from a “junk” drawer of cardboard, duct tape, trash bags and materials most commonly found in the corner of your garage. The boats are then christened and engage in a relay race, with all team members powering their own boats on a pre-designated route. The size of the regatta is dependent on the number of teams your group has. Learning includes: Building community, innovation, creativity and having fun together. Low event courses have less of an emotional quotient compared to the High Challenge Course and emphasizes more of the problem-solving aspect in teams. With access to a wide variety of events that offer diverse outcomes, it is easy to custom design a day that will illicit deep and insightful debriefs that will relate directly to both personal and professional life. The events can easily be used independently or threaded together to create a challenging, connected, overall theme specific to the outcomes and needs of the client. Pre-course discovery with the client to determine specific issues and outcomes will facilitate the design of the day or half day. 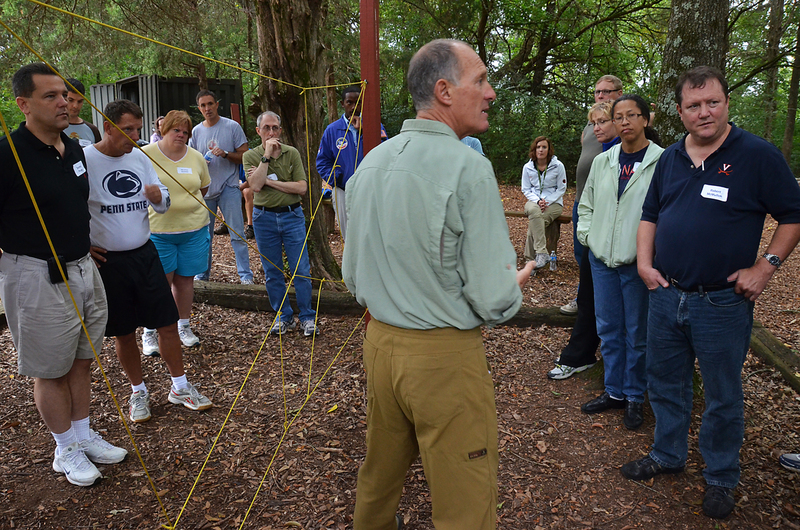 Similar to the High Challenge Course, these events can stand alone, be a foundation for a meeting, or they can be woven into a longer program. Accommodates 10 people or more. Learning includes: Problem solving, interpersonal skills, strategic planning, implementation, communication, leadership skills, followship skills and team building.